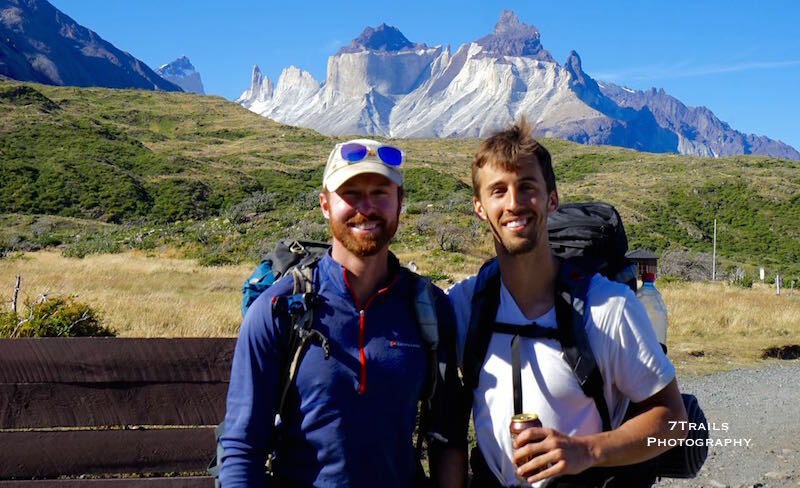 In the final installment of my Torres del Paine adventure, Austin and I tackle the less-than-imposing John Gardner pass, experience the wonders of the world’s most popular drug, and forget how to stop hiking. 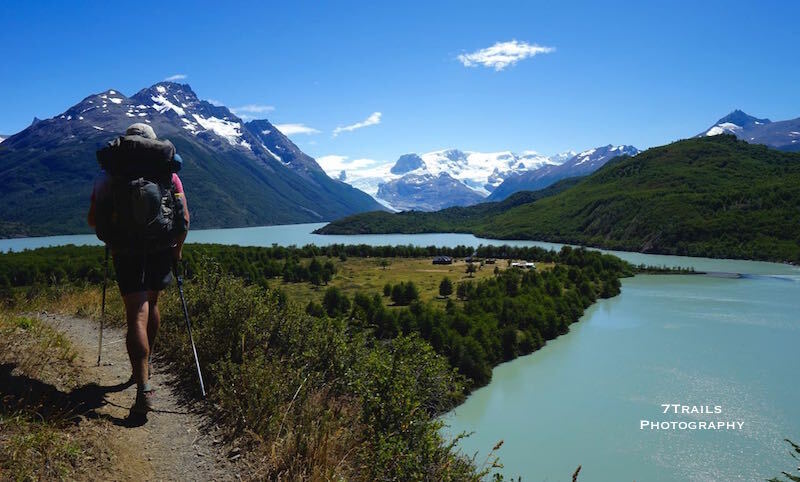 Check out Part 1 and Part 2 for more about this epic hike in Chilean Patagonia. We started the day with a pre-dawn wake up call. 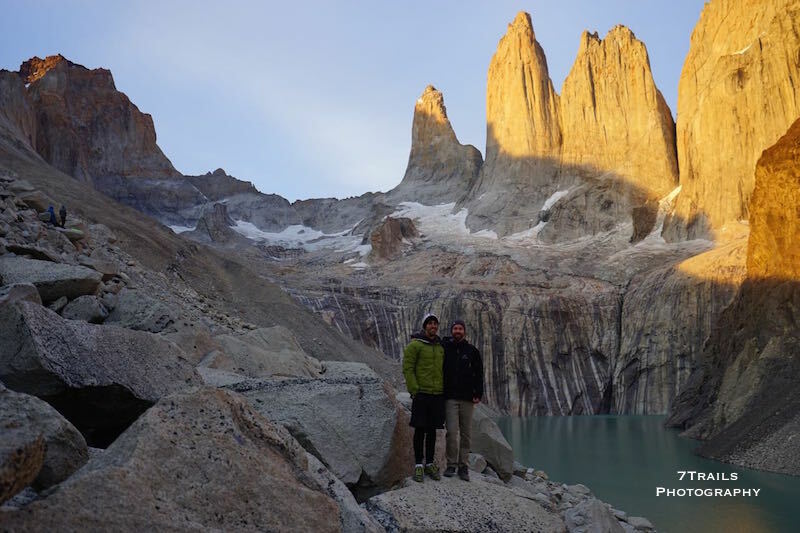 Grudgingly rousing ourselves from our sleeping bags, we headed off to watch the sunrise at the Mirador Base de la Torres, the viewpoint for the three granite spires that are the park’s main attraction. We walked in the dark for an hour and reached the Torres as dawn was beginning to break over the horizon. The sun put on a show, splashing the Torres with brilliant amber light until clouds moved in to shroud the entire range in shadow. We returned to Chilenos and snuck in a few more hours of sleep before packing and hiking back to down the valley. 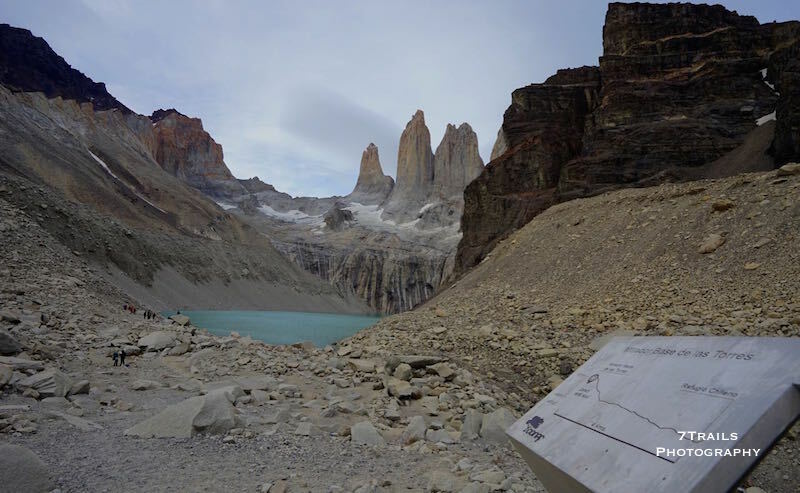 Our route took us past Hotel Las Torres and then to the northeast around the massif to our next camp, Seron. 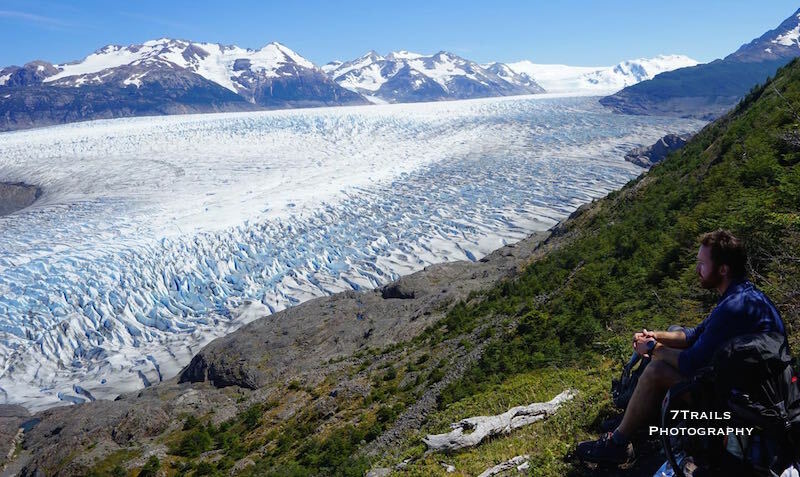 The day was our longest hiking day yet and the long trail hours led me to several realizations. The first was that I’m completely spoiled. I’ve spent much of the last two years hiking in amazing places. 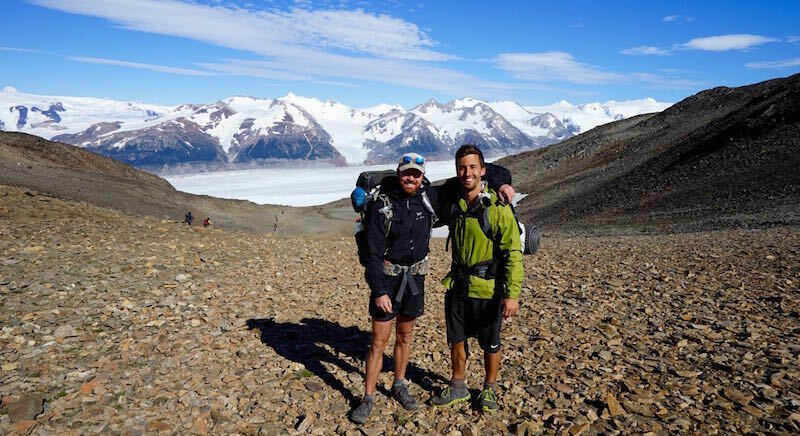 Places like the Alpamayo Circuit (Peru), the Five Passes Track (New Zealand) and Drakensberg Grand Traverse (South Africa), where other hikers are rare and one can explore the world’s beauty unimpeded and uninterrupted. As a result, my capacity for dealing with trails jammed with novice hikers and excessive traffic is almost non-existent. In that respect, the TDP presented a real challenge. We were by now most of the way through the “W”, smack in the middle of the most crowded part of the park, and the trail swarmed with inexperienced walkers. Most of them had little understanding of trail etiquette. Time and again our way was blocked by people taking a break in the middle of the trail, or barreling by without regard for hikers coming in the opposite direction, or creeping along and then refusing to give way when we came up behind them. 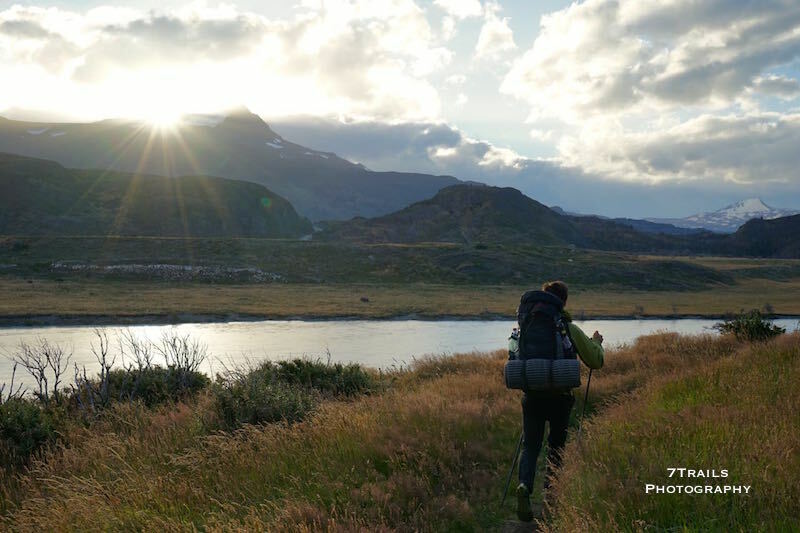 It was an exercise in frustration that reinforced my dislike for tourist trails and reinvigorated my appreciation for the deep backcountry where your only company is your chosen companions, the rocks, wind and the occasional wild animal. The second big realization concerned Austin. Up until then, he had been somewhat quiet on the trail. This was the first long hike of his life, but he was handling the physical aspects of the hike well and hadn’t mentioned any difficulties other than a slight headache. I assumed that he was just focused on the trail and the beauty of our surroundings. Today, though, he was a chatterbox. We talked almost non-stop from Chilenos to Seros, wide-ranging conversations that even included some seriously impressive renditions of comedic bits from Louis C.K. and Mitch Hedberg. Eventually, the catalyst for his gregarious mood leaked out. Coffee. Austin was only a month removed from life as an overworked, overstressed associate at a Big Law firm where coffee had been a lifeline to normalcy. He had decided not to bring coffee on the trail due to our limited supply of fuel for the stove and was paying the price. The previous two days had been his first without caffeine in ages. He’d managed to top up on coffee at the Chilenos refugio earlier in the day and the jolt from the caffeine fix was noticeable. Austin managed to find more coffee at Seron and was once again his jovial self as we hiked from Seros to Dickson, a beautiful camp nestled in a valley below massive peaks and hanging glaciers. The eight hours of map distance to Dickson took us only four hours so we had most of the day to relax in camp. 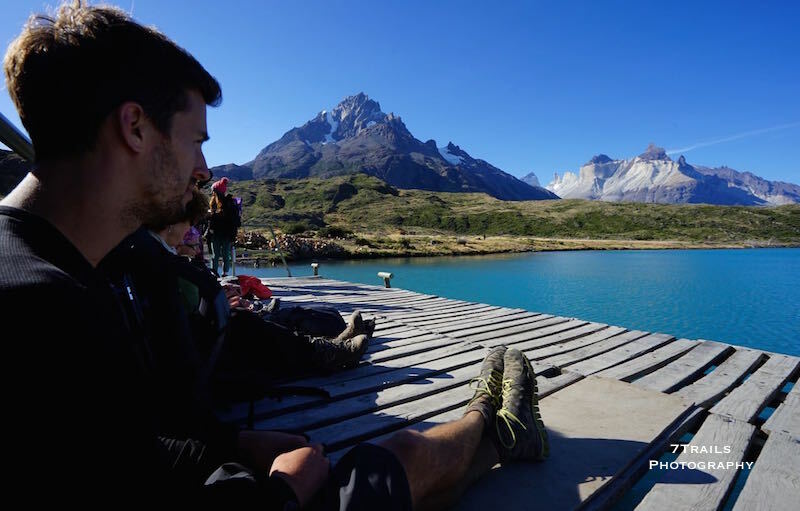 We spent the time on the lake shore taking quick dips in the frigid glacial lake, waiting in the hours long line for the refugio shower, and talking with the many Argentinos that were camped around us. Day 6 was even shorter than the day before. We were close to John Gardner Pass and could easily have made it over. However, rain had pelted the tent throughout the night and the weather report called for more rain throughout the day. Since the pass is notorious for being a nightmare in bad weather, we decided to save it for the next day. That left us with a two-hour walk to Perros camp, the last stop before the pass. We waited for the morning showers to break and got started for Perros when it looked like we had a decent window of open skies. Our timing was perfect and we completed the hike through rolling wooded hills just before the downpour began again. With John Gardner Pass towering at the end of the valley, we threw up the tent and spent the afternoon reading, napping, and discussing the emotive nature of the word “home” while heavy drops beat a staccato rhythm on the tent around us. The rain finally let up late in the day and we strolled over to the refugio for dinner. 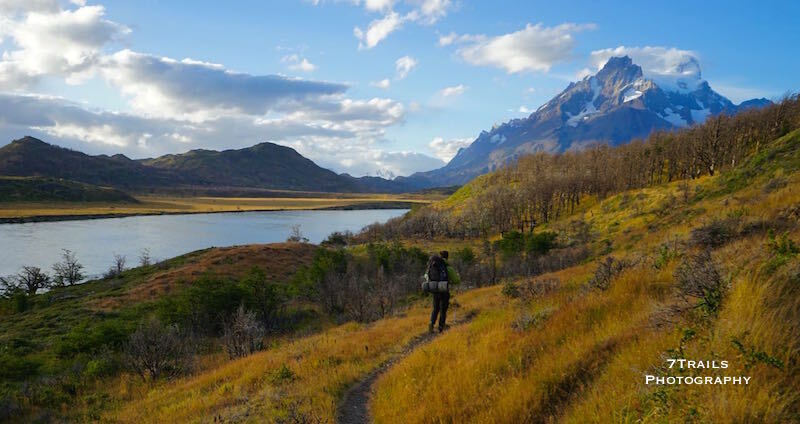 Forest fires are a major problem in Parque Nacional Torres del Paine so park rules prohibit cooking anywhere other than in designated areas. At Perros camp, the one room refugio building is the only designated cooking area. We arrived at rush hour and found nearly every one of the scores of hungry, smelly hikers at the camp crammed into the small and stuffy room. We eventually found space a table, and set up my stove. Austin struck up a conversation with a trio of Canadians from BC. The discussion soon turned, as it so often does, to hiking gear and before long someone asked about my stove, an ultralight alcohol stove made from a cat food can. Of course, my stove got stage fright as soon as I started espousing the virtues of the lightweight, durable and inexpensive cooking system. The flame sputtered and died for the first and only time on the trip. I made several unsuccessful attempts to relight the stove, until one of the Canadians offered to let us use her stove. I wanted to demur but Austin was ready for hot food, so we took her up on the offer. We were having couscous that night (my trail standard) and Austin’s share was already in the lukewarm water in my pot. As kAustin placed put the pot on the stove, I warned him to stir constantly. The conversation continued while Austin cooked and I interjected sporadically with reminders to continue stirring. Almost inevitably, though, we soon smelled the burned popcorn-y smell of scorched couscous wafting up from the small pot. Austin killed the flame and dumped the couscous into his bowl. Sure enough, the bottom of the pot was coated with a thick black layer of charred grains and the smell and taste of charcoal now permeated Austin’s entire dinner. The Canadians left and I decided to give my stove another shot. It fired right up now that the audience was gone. I cleaned my pot and threw water on to boil. Austin set about making his dinner as edible as possible with our limited selection of spices. My dinner was soon ready and I joined Austin in attempting to salvage his couscous, mixing it with my unburned share and piling on the spices. Just then, a pair of Swedes soon joined us. Settling in, they asked us what we were eating. As I tried to swallow my mouthful of char-flavored grains, Austin chimed in with “It’s a couscous cigarette.” I burst out laughing, just barely managing not to spew food across the table. The last day of the hike got out of hand. Our trail plan was reasonable enough. The forecast called for bad weather that would clear by mid-day. We hoped to let the weather pass and then ascend John Gardner Pass around noon. 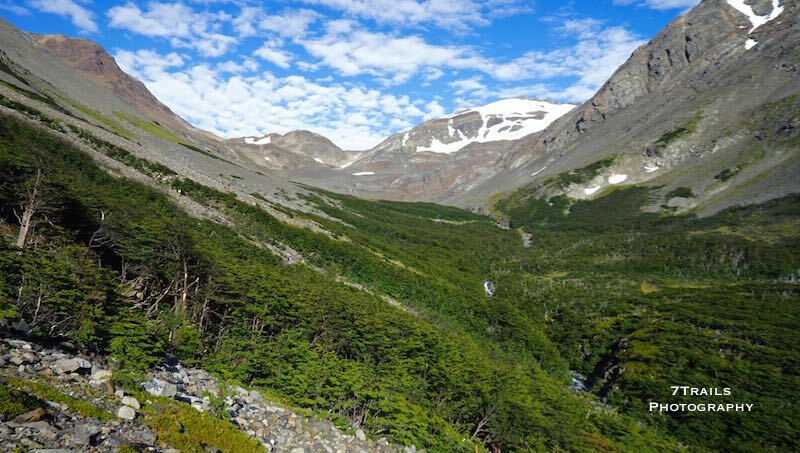 We’d camp at either Paso Camp or Refugio Grey, the two nearest camps on the other side of the pass. The day got off track as soon as I poked my head out of the tent. Austin was already in the refugio getting a head start on his caffeine intake for the day when I looked outside and saw, instead of crappy weather, a calm, crisp day tailor made for hiking the pass. Now, they didn’t used to call me “Sunshine” for nothing. I immediately scrapped the rainy day schedule. The unexpected window of clear skies meant that we should get up the pass before any nasty stuff could move in to make life miserable. I headed in to break the news to Austin, then set about tearing down camp. He finished his coffee and joined me outside. We were underway by 9:00am and quickly worked our way up the trail, passing the dozens of people that left camp before us. The top of the pass was an easy 600 meter climb from Perros and we covered the distance in a breezy 1.5 hours. On reaching the top, we got our first look at the massive Glacier Grey. The expansive mass of ice covered the huge valley from wall to wall, nearly blinding us with reflected glare. We admired the impressive scene and then pushed on. The trail dropped quickly down the other side of the pass, losing hundreds of meters of elevation over a few short kilometers. We reached Paso Camp in an hour. The map claimed six hours from Perros to Paso, but we needed only three. Still felt fresh after conquering the pass so easily, we plowed on down the trail after signing the camp’s hiker register. We kept our pace and soon came upon Refugio Grey, our alternate stopping point for the night. We had covered the eleven hours of map distance in well under six hours, even with a 45-minute lunch break thrown in. That’s when our plans really got thrown off. 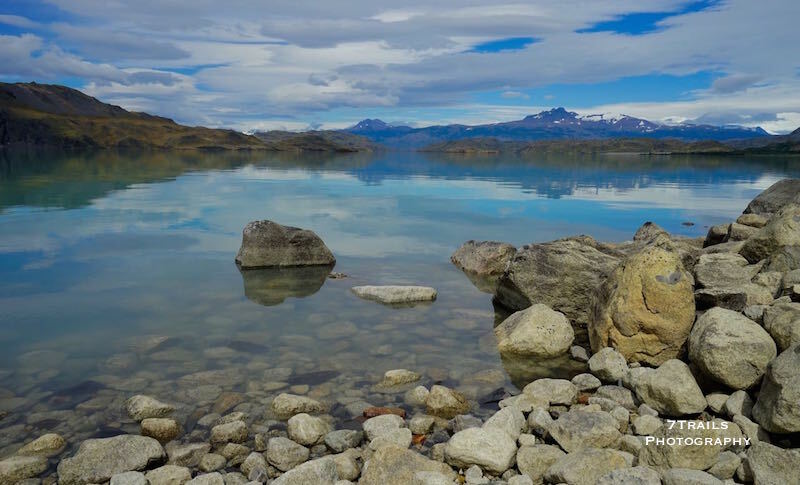 It was only 2:30 and we were now just a few hours from Paine Grande, where a 6:30 ferry could whisk us off to a waiting bus and the comforts of civilization that lay just down the road. I was feeling the draw of those creature comforts strongly now that the best parts of the trail were behind us. I was also anxious to continue south to begin working out the details of my planned Antarctica excursion. Austin was less enthused about continuing on. He leaned toward spending the day at Refugio Grey and taking a ferry at 10:30 the next morning. We began negotiations, going back and forth until eventually the idea of smashing some pizzas and beer in the warm environs of Erratic Rock’s cozy bar won out. We donned our packs and hit the trail for the final time. 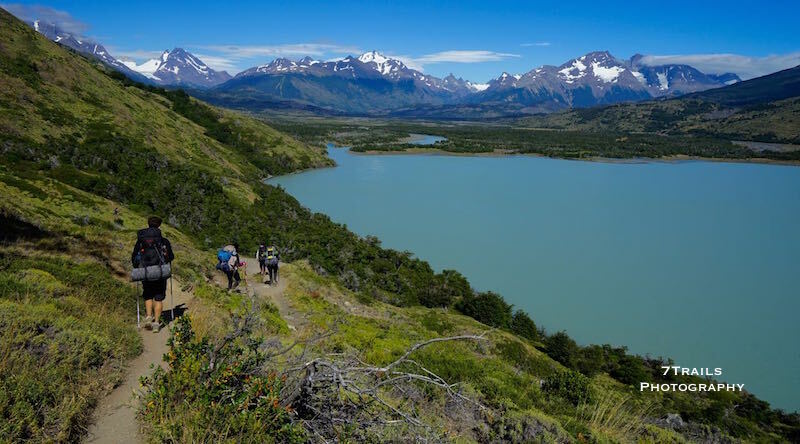 The trail wound along the edge of Lago Grey and then delivered us several hours later to Paine Grande. Before we knew it, we were sitting on the dock, beer in hand, waiting for the ferry. Sitting on the dock of the lake. 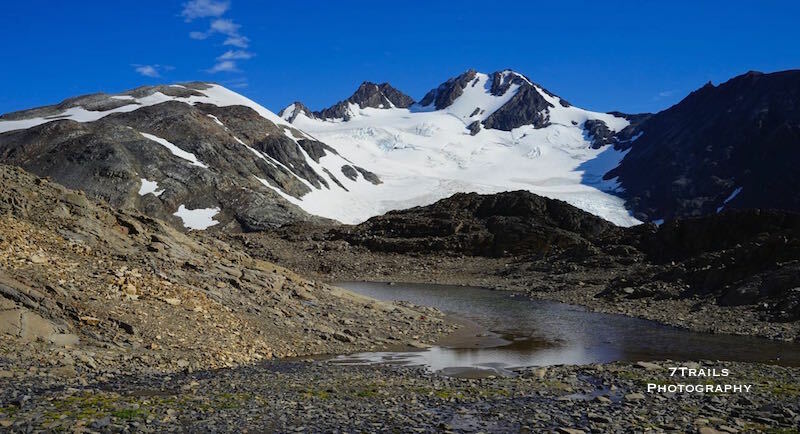 Our short day up and over the pass had turned into a marathon that traversed nearly a third of the Circuit’s entire length and over 17 hours of map distance, including the only big climb of the trail. But the day was well worth it as we sat at the bar that night destroying a trio of large pizzas, a massive taco, a bowl of popcorn and some beers. 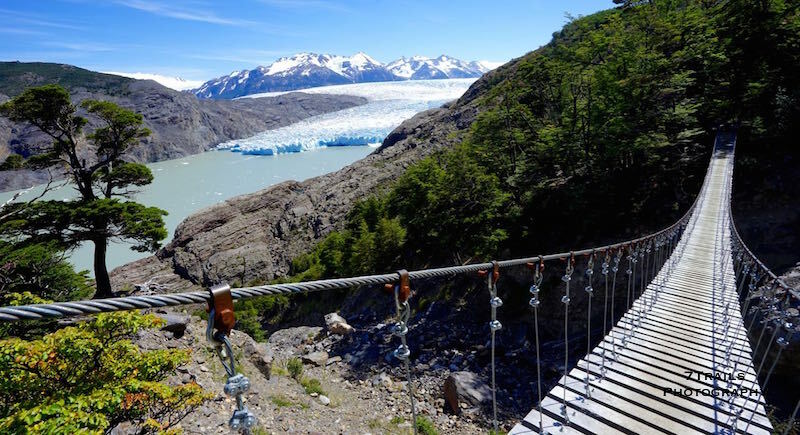 It was a well-earned celebration of an amazing experience on one of the world’s most beautiful treks. Wow. So many things to say. 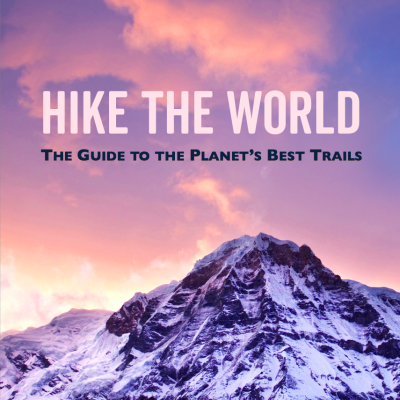 First, I agree about other hikers … we loathe crowded trails too. Second, had to LOL about your stove. Third, would I do okay with those swingbridges? Well, I’m not sure how you were conned into taking on nature with this stimulant-dependent novice fresh off the boat from the squalls of law practice barely scratching the surface of his own world- and self-exploration, but the write-ups may make it worth it if nothing else. Well done as always. Here’s to many more adventures, my friend. Cheers! Ha, thanks Austin! You were were a natural, especially once you got your daily jolt of caffeine. It was an awesome adventure. Can’t wait for the next one!